We aren’t far off single digits, only 11 day’s to go until the September Magical Mousetery Tour! 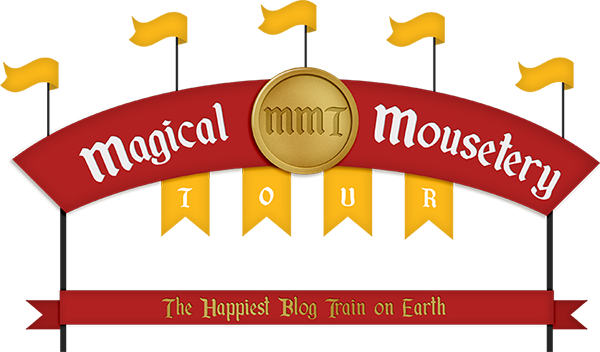 We’re continuing the countdown today by welcoming Meg of Meg Scott Designs back to the Magical Mousetery Tour. So let’s get to know Meg a little better, and make sure you read ’till the end to see her sneak peek of the amazing freebie that will be on her blog come September 1st! My name is Megan Scott and I currently live in Arizona with my amazing husband, youngest daughter and 3 furry babies. I love to write, create – all kinds of crafts, read, and enjoy spending time with family playing games or being silly. I have been designing since April 2012 and love it! My color inspiration comes from art that I see all around. Whether is a photograph of a wedding or a photo manipulation of a fantasy art piece of a unicorn, or even a painting, to me art inspires art. I am a huge Tinkerbell and Nightmare Before Christmas fan, but now I have to add Star Wars to that list!! Q. Are you currently planning your next trip? We are hoping to go on a Disney Cruise next year as well as visit Star Wars. We are officially down to single digits, only 9 days until the September Magical Mousetery Tour! Today we are welcoming back Connie of Connie Price Designs. Lets get to know Connie and her designs a little better – plus read to the end to see her “A Magical Frontier” sneak peek. 10 days until kick off! Today we are welcoming a new designer to the MMT family, please welcome Heather of Heather Z Scraps to the September Magical Mousetery Tour. Lets get to know Heather and her designs a little better – plus read to the end to see her “A Magical Frontier” sneak peek and pick up a coupon for her store! Heather also kindly sent over this coupon code for you all, use it to get 25% off at her store between 9/1-9/30. Just use the code: HZ_25%OFF at checkout. Plus, the three products above will be an even better steal at 30% off 9/1-9/30. There’s only 12 days to go for the next Magical Mousetery tour! Ready to see who the next contributor is? Today we’re welcoming back Marike of Designs by Romajo.So lets get to know Marike and her designs a little better – plus read to the end to see her “A Magical Frontier” sneak peek and to pick up a coupon for her store! My name is Marieke and I live in the Netherlands. I am married and we have 1 daughter who just turned 12. We also have a cat and a dog. We like to go for a walk, go on vacation, to take photos and to dance. As said before, my own name is Marieke. I am married to Robert and when our daughter Joline was born we were looking for a name for a website. It turned out to be Romajo. Ever since I have used this name in my online live. Cats or Dogs? Both! Although I think I can’t live without cats. The big cats (lions, tigers, cheetahs,etc.) are my favorite zoo/safari animals. Tea or Coffee? Don’t like the smell of coffee, so it’s tea for sure!